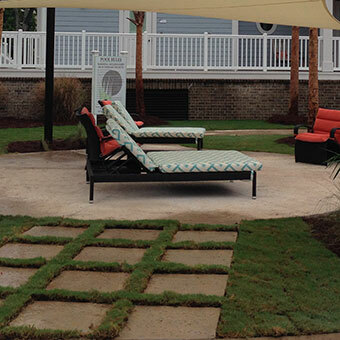 As you plan a design for your backyard, pay special attention to giving the space visual interest. While functional improvements are certainly important, you also want your outdoor environment to have a unique aesthetic that beckons people to spend time there. 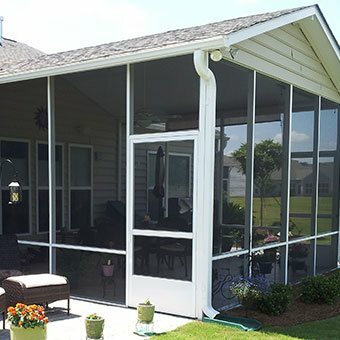 For many homeowners, a pergola installed by Express Sunrooms proves to be the perfect backyard addition. 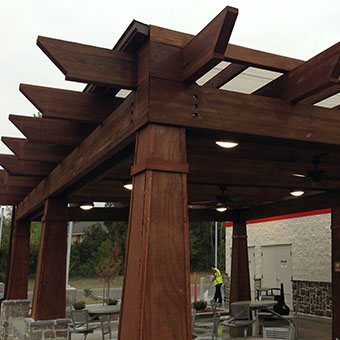 We can build our pergolas over patios, gardens, and virtually any other outdoor settings, where they will not only enhance the appearance of the space, but also provide partial shade over the covered area for added comfort. 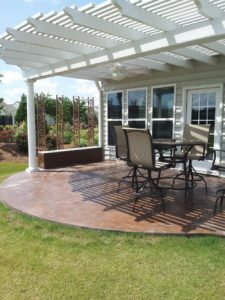 Given the major role that your new pergola will play in determining the aesthetic of your backyard retreat, you deserve to have lots of options as you decide what type of pergola would look best there. Our pergolas come in a diverse variety of sizes, shapes, styles, and colors, ensuring that you can plan a design you absolutely love. 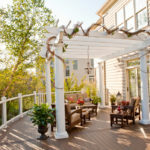 When you add a pergola to your outdoor space, you want it to hold up well through the years without much upkeep required. 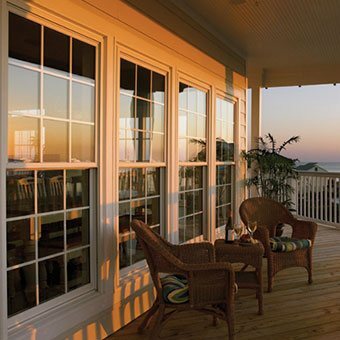 And that’s exactly what you’ll get from Express Sunrooms. 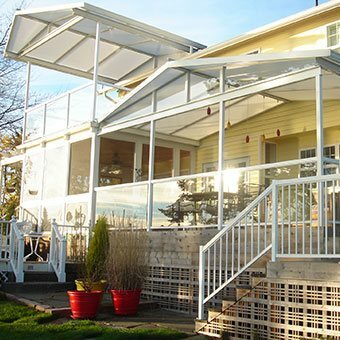 Our aluminum pergolas are fully weather resistant, meaning that they can withstand years of exposure to rain, sun, wind, and other weather conditions without cracking, warping, or splitting. 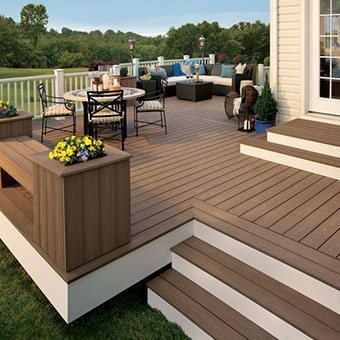 What’s more, they never need to be painted and are essentially maintenance free, enabling you to instead spend your free time on more enjoyable activities, such as relaxing in your backyard oasis. 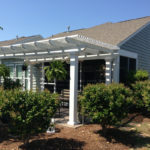 If you like the look of a latticed pergola but also want to hang out in complete shade from time to time, then you may want to consider having one of our adjustable patio covers installed. 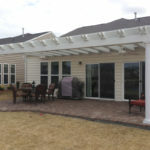 They look similar to a pergola but give you the option to open or close the roof slats with just the press of a button. Whether you want to bask in the sun or cool off in the shade, the choice is entirely up to you! 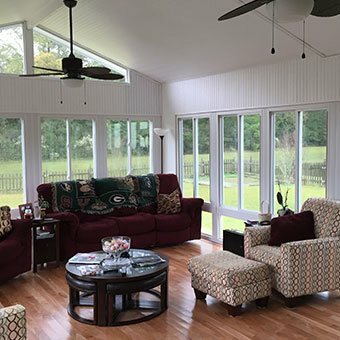 To learn more about our pergolas and the many other outdoor living features that we offer, contact Express Sunrooms today. We would be happy to provide you with a free, in-home consultation at your earliest convenience.